My experiences with Muraudio’s new, unconventional, two-way, stand-mounted hybrid loudspeaker, the SP1, began last March in Montreal, where I saw and heard its debut at the Montreal Audio Fest. 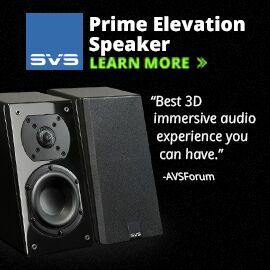 (A single hybrid speaker has drivers based on different technologies; in the SP1’s case, electrostatic and dynamic.) We covered the SP1 on SoundStage! 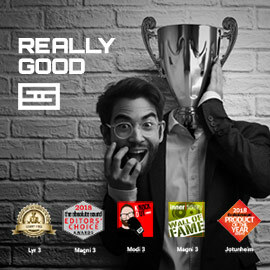 Global during the show, and I included it in “The Best of Montreal Audio Fest 2018.” In May, impressed by the innovative ideas that had gone into the SP1’s design, I wrote and published “Muraudio’s SP1 Loudspeaker -- Way Outside the Box Again,” and promised a full review of the speaker in June. I ended up spending too much time on the road to finish the review in time for June publication, which turned out to be a good thing -- I was able to listen to the SP1s a bit longer. Unlike Muraudio’s more expensive PX1, PX2, and DA2 omnidirectional speakers, which have enclosures of cast aluminum, the SP1 has a wooden cabinet that, excluding the stand, measures 42” by 16.65” x 14.5” at its highest, widest, and deepest points. Muraudio’s president, Rob Runolfson, described to me the cabinet’s construction: “a singular structural system that distributes loads uniformly, like an eggshell, built from Baltic birch utilizing cold-molded construction techniques, which creates a light, rigid, anti-resonant structure.” The SP1 costs $14,700 USD per pair with wood veneer and semigloss sheen; add $650/pair for a high-gloss or painted finish. Muraudio’s website lists 12 veneers and six painted finishes; my review pair were painted in what seems to be the most popular finish for any speaker offered in it: Piano Black. The front of the SP1 is curved through 180°; it looks almost like a cylinder vertically cut in half. The rear panel isn’t sealed off; a large opening at the middle allows the centrally mounted electrostatic panel to radiate acoustic energy rearward as well as forward. In short, the SP1 is a dipole loudspeaker: Its frontward and rearward soundwaves are equal in energy but out of phase, which causes a cancellation to the speaker’s sides. Above and below that opening, the cabinet is sealed. In a nice aesthetic touch, the speaker’s rear surface curves slightly outward horizontally but slightly inward vertically, to give the entire cabinet a pleasingly subtle forward arc; the arc is continued by the stand’s single curved leg. That stand, made of solid aluminum, bolts to the cabinet’s bottom to lift the SP1 15” above the floor and its drivers to a proper listening height (see below). The stand’s wide, flat base adds weight -- the total weight of speaker and stand is 99 pounds -- and thus stability. The more a tall speaker’s weight is concentrated at the bottom, the less liable it is to tip over. Inside the cabinet are two sealed compartments for the four identical, bespoke woofers, which are sunk into the cabinet’s front a couple of inches, to align their acoustic centers with that of the electrostatic panel. Each woofer has a 6” frame and a 5” aluminum cone with a rubber surround. Two are placed side by side above the electrostatic panel and two below, angled slightly outward to match the panel’s arc. The four woofers operate from about 750Hz down and, according to Muraudio, have a combined radiating area of 52.7 square inches (340 square centimeters). The SP1’s specified anechoic bass extension is about 35Hz, which is fairly deep but not full-range -- that is, the SP1 doesn’t produce usable output all the way down to the bottom of the audioband: 20Hz. To me, the interesting thing about this configuration is the horizontal orientation of the woofers. I’ve seen hybrid speakers with dynamic woofers below an electrostatic panel, and others with woofers above and below. But I’ve never seen one with pairs of side-by-side woofers above and below. According to Muraudio founder and chief designer Murray Harman, although the design of the SP1 began with larger, single woofers above and below, the final configuration produced the best acoustical blend of the woofers with their unique electrostatic panel. Via a second-order Linkwitz-Riley crossover, the woofers hand off to the panel at about 750Hz. The electrostatic panel is the same as is used in Muraudio’s omnidirectional speakers, but here there’s only one, as opposed to three in those models. The panel has a radiating area of 255.8 square inches (1650 square centimeters), and differs from other companies’ electrostats in being horizontally curved through 120° and vertically curved through 16°. Every other curved electrostatic panel I’ve seen is curved only horizontally, which broadens the horizontal dispersion of the front-firing soundwaves compared to a flat panel. A vertical curve similarly broadens the forward vertical dispersion. Another defining feature of Muraudio’s panel is something not easily visible. The perforations in the stators -- the thin metal panels that sandwich the even thinner diaphragm, and that transform the audio signal into electrical fields that push and pull the diaphragm, whose motion pressurizes the air into soundwaves -- aren’t just stamped or drilled holes. Instead, the holes’ edges are rounded using a patented forming machine that allows the powder coating to be more evenly applied to all surfaces of the stator. Muraudio says that this process substantially increases the panel’s power handling. Because, like all electrostatic panels, the SP1’s requires a charge to bias it, each speaker has a small power supply. This is plugged into the speaker just below the binding posts on the rear, and then plugged into the wall. Muraudio’s PX1, which I reviewed in September 2015, required boatloads of amplification in my room. Muraudio says that only 150Wpc (into 8 ohms) are needed drive a pair of PX1s, but in my experience, that would be barely enough to get the speaker to start singing. In my opinion, a more appropriate minimum would be a stout 300Wpc amp, with 500 or 600Wpc being even better. For the SP1, which is specified as far more sensitive (86dB/2.83V/m), Muraudio recommends 50-125Wpc, which they seemed to prove at the Montreal show by using a Simaudio Moon 340i integrated amplifier (100Wpc into 8 ohms). The amps I used with the SP1s, both specified to output 500W into 8 ohms, provided way more power than I needed, and probably would have been ideal for the PX1s. I never came close to needing even half their power for the SP1s, so I do have to believe this design is quite a bit more sensitive than the PX1. Furthermore, it’s worthwhile to know that the SP1 is not that difficult to drive -- like most speakers, its nominal impedance is specified as 8 ohms. Muraudio cites a 2-ohm minimum impedance at 20kHz, which is low, but considering that most recordings have little content up so high, that shouldn’t present a challenge to most well-designed amps. Since the launch at Montreal, Muraudio has changed the SP1’s grille. In Montreal, the grille had straight sides. Now those sides are curved, which better matches the curve of the cabinet itself. I think most people will want to leave the SP1s’ grilles on, for reasons not of sound quality but appearance -- the combination of big electrostatic panel and four woofers looks a bit alien-like, four staring eyes surrounding a huge mouth. From what I could hear, the grille didn’t degrade the sound. In addition to Constellation’s Revelation Pictor preamp and Taurus monoblocks, I used a Hegel Music Systems HD30 DAC fed by my Samsung R580 laptop running Windows 10 and Roon via an AudioQuest Diamond USB link. The DAC-to-preamp connection was with Crystal Cable Standard Diamond balanced interconnects, and the Constellation preamp and power amps were linked by Audience Au24 SX balanced interconnects. For the EMM Labs Pre preamp and MTRX2 mono amps I also used, I connected EMM’s own Isopath balanced interconnects. 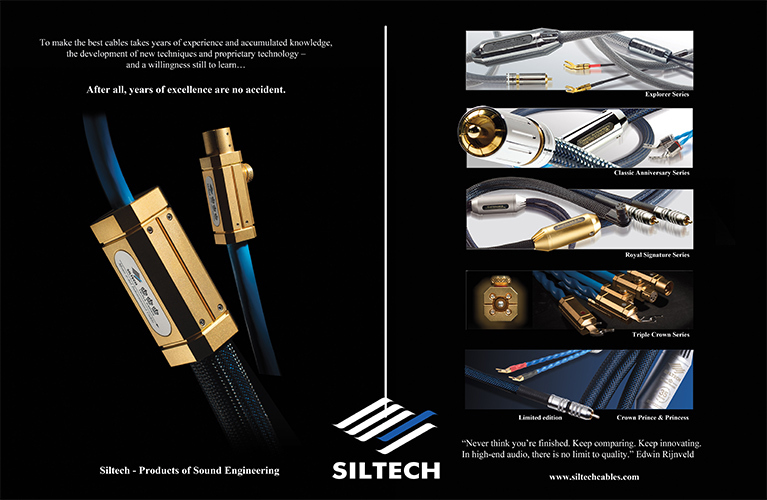 Speaker cables were Siltech’s Classic Anniversary 330L. Shunyata Research’s Venom HC power cords were used on the source electronics, while the various companies’ stock power cords were used on their amps. All power cords were plugged into Shunyata Venom PS8 power distributors. For most of my listening, I set the SP1s up the way I do most speakers: they and my listening seat described an 8’ equilateral triangle. This left about 5’ between each speaker and its nearer sidewall, and about 7’ between the speakers and the wall behind them. I had the SP1s firing straight ahead -- no toe-in. Because the SP1 is a dipole, Muraudio’s Murray Harman wanted me to try them closer to the front wall, likely to cut down on the reflection time from that boundary and to increase their bass output. I did that for a bit, but wound up preferring my 8’ listening triangle. In the 1990s, I had a pair of Apogee Centaur Minor speakers and, fairly or unfairly, they’ve affected my view of hybrid designs ever since. The Centaur Minor had a 6.5” dynamic woofer alongside a 26”-high ribbon tweeter, and were murder to set up properly in my room -- they sounded good only in just the right places, and then only if I never moved my head. If I moved my head even an inch to left or right, the soundstage would disappear and the tonal balance would go all wrong. But even with my head in that virtual vise, I could always tell which sounds were being produced by the dynamic woofer and which by the ribbon tweeter -- the former sounded a bit rubbery and soft, the latter fast and crisp. Forget any sort of convincing reproduction of the sound of an acoustic piano, which ranges from the very low bass up past 4kHz -- the very different sounds of the Minor’s drivers screwed that up completely. Although since then I’ve heard far better hybrid speakers, including Muraudio’s own PX1, it’s the SP1 that has finally laid my bias to rest. The moment I had the SP1s hooked up to the Constellation electronics and was streaming Joan Baez’s latest, Whistle Down the Wind (24-bit/96kHz FLAC/MQA, Proper/Tidal), it was obvious that the outputs of very different types of drivers can be mixed so seamlessly that, even if you knew nothing about a speaker’s drivers, you wouldn’t know which type was handling which frequency, or that it was a hybrid at all. The SP1s reproduced Baez’s cover of Joe Henry’s “Civil War” with Baez’s voice up front, dead center, with she’s-in-my-room clarity. Although the frequency content of her voice, from fundamentals to harmonics, straddled the 750Hz crossover frequency and thus was being reproduced by panel and woofers -- as I could hear when I put an ear next to each driver -- from my listening seat it sounded so cohesive that it was difficult to believe it was coming from all those drivers pointing in all those directions. In “Civil War,” Jay Bellerose’s drums are placed fairly far back on the stage, an acoustic piano hovers around Baez, and there’s a guitar to far right. Again, at the listening seat, it was impossible for me to hear where one driver type handed off to the other for any instrument, including the piano. Also interesting was that, despite the two sets of woofers in each speaker being about 2.5’ apart, and the electrostatic panel being pretty large, the top-to-bottom sound of the drivers was as cohesive and focused as the best non-hybrid floorstanders -- such as KEF’s Reference 3 ($14,000/pair), an exceptional three-way design I reviewed last year, or Revel’s Ultima2 Salon2 ($22,000/pair), a pair of which I keep as a reference. The acoustic piano is one of the most difficult instruments for speakers to reproduce, not only for its wide frequency range but also for its weight and impact. I played one of my favorite piano recordings, Ola Gjeilo’s Stone Rose (16/44.1 WAV, 2L), which I like so much because, through a good system, it sounds as if I’m right there with him. Once again, there was no disconnect from lows to highs. In really explosive passages, as in “The Line,” I heard nothing but speed and attack -- none of the woolliness or distortion that plagues some speakers when they try to reproduce this track. It all sounded as immediate, clean, dynamic, and musically exciting as well-played pianos do in concert. It was when I stood up that the sound of the SP1 differed from that of a monopole speaker with all dynamic drivers, such as the Reference 3 or Salon2: the highs were now severely rolled off, everything sounding muted and dull. “You Shook Me All Night Long,” from AC/DC’s Back in Black (16/44.1 FLAC, Albert/Atlantic/Tidal), was now shockingly lackluster as I wailed on air guitar (which this song demands I do, every time). I heard the same thing when I got down on all fours to get my ears lower than the SP1s’ bottom woofers, though few will ever listen from such a position. Until I sat back down and all the music’s life returned, I thought that maybe the SP1 couldn’t rock. It definitely could rock -- and reproduce any other kind of music exceptionally well -- but if you’re of normal height for an adult, listen to them only when sitting down. The explanation for this great difference in the SP1’s sound, depending on whether the listener is seated or standing (or lying down), has mostly to do with the configuration of the drivers. The SP1s had broad horizontal dispersion. This is no head-in-a-vise speaker -- I could move from left to right from the sweet spot with no changes in tonality and only minor diminution of soundstaging. However, their window of vertical dispersion is narrow -- only about 3’ at my listening seat. This isn’t a problem with all-dynamic speakers such as the Reference 3 or Salon2, whose dome tweeters radiate soundwaves so evenly in all directions that their highs remain quite prominent even when you stand up. So don’t judge the sound of the SP1s if you’re listening to them while standing -- and if visitors, while walking around your room, tell you your SP1s sound dull and lifeless, tell them to sit down. Ideally, you want the centers of the speakers’ electrostatic panels roughly at the level of your ears -- which is just about where the SP1s’ stands put them. Some might see the SP1’s narrow vertical listening window as a limitation, but I think it can be a benefit for critical listening: Because the speakers’ acoustic output below 750Hz is sent above and below that window, it greatly reduces the reflections of soundwaves off the floor and ceiling -- reflections that could foul the SP1’s excellent clarity and stereo imaging. This wasn’t news to me. One of my favorite stand-mounted speakers is Aurelia’s XO Cerica ($7100/pair when I reviewed it), which has an even narrower vertical window. Like the SP1s, the Cericas sounded superclean, and could image like crazy in my room. After a couple of months with the Constellation amplification, I swapped it out for the EMM Labs electronics for the rest of my listening. 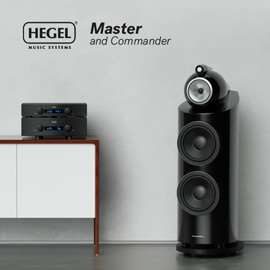 The resulting sound was similar to what the Constellation-Hegel combo had produced, with a bit better resolution of detail, which I know had at least something to do with the DA2 Reference DAC doing the digital decoding -- the HD30 is very resolving, but the DA2 is just a bit more so. Overall, the results with this gear were fab. When I played “Smokestack Lightnin’,” from Howlin’ Wolf’s Moanin’ in the Moonlight (16/44.1 FLAC, Chess/Tidal), I heard a tightly focused ball of unbelievably clear sound right between the speakers -- Wolf’s voice and the accompanying instruments all wound up nicely, but were reproduced so cleanly that I could easily distinguish each instrument from the others. That’s as it should be with a good monaural recording, even one dating from January 1956. There was no stereo spread; if there had been -- or if the sound had been too big in the center, or pulled to left or right, or too far back on the stage -- it would have been because the speakers or something else in the signal chain was adding or subtracting something from the original recording. Instead, “Smokestack Lightnin’” was reproduced with astonishing clarity, precisely between the SP1s, as if emanating from a single speaker placed directly in front of me. I continued my blues streak, this time in stereo. Listening to Robert Johnson’s “Crossroads,” from Cream’s Royal Albert Hall London May 2-3-5-6, 2005 (16/44.1 FLAC, Reprise/Tidal), I heard something completely different -- and a little odd. Despite Eric Clapton’s voice and electric guitar being focused reasonably tightly at the center of the soundstage, Ginger Baker’s drums were spread way too wide across the back of the stage to sound realistic. In the next track, Jack Bruce’s “White Room,” Baker’s drums sounded even bigger, in terms of both impact and size. A surprising amount of hall ambience is captured on this album, and that, too, was reproduced by the SP1s in a big way. It extended past the outer edges of the speakers, which I could accept more easily than the spread-out drums because it provided me with the illusion of being in the 6000-seat Royal Albert Hall. The SP1s made it abundantly clear to me that the engineers were having fun with this recording, making it more enveloping and wall-of-sound-ish than we often hear from live or studio recordings -- even if the result is that the instruments sound larger than life. If you’re wondering whether the SP1s were embellishing soundstage spaces and making certain instruments sound bigger than they’re supposed to -- well, they’re partial dipoles, after all, and so direct more energy rearward than a typical front-firing speaker -- I checked that by playing very familiar recordings that I’ve used as references for many years now: the Cowboy Junkies’ The Trinity Session (16/44.1 WAV, RCA); Bruce Cockburn’s Humans: Deluxe Edition (16/44.1 WAV, True North); Greg Keelor’s Gone (16/44.1 WAV, Warner Music Canada); and Ennio Morricone’s film score for The Mission (16/44.1 WAV, Virgin). To be certain I knew precisely what I was hearing, I played these tracks from my computer, using files ripped from my own CDs, not from a streaming service. With these recordings I heard no embellishment of soundstage width or depth. Just as with Cream’s cover of “Crossroads,” the drum kit in “Grim Travellers,” from Cockburn’s Humans, has sounded unnaturally wide -- spread across the entire rear of the stage -- with every pair of speakers I’ve played it through since 1980. The SP1s neither increased nor decreased that width; they simply reproduced the unnaturally wide spread inherent in the recording, at the depth that’s supposed to be there. Same with The Mission, much of which is choral music; with each track recorded in a very large space (though I don’t know if they were all recorded in the same venue). Regardless of which track I played, the soundstages were as wide and deep as I’ve heard them, but not to the point of the SP1s adding width or depth that wasn’t originally there. On those large stages, individual voices and instruments were in sharp focus -- nothing sounded bigger than it should. In general, the SP1s seemed to accurately reproduce the recordings I played through them. Playing these familiar tracks also highlighted the SP1’s main strength: clarity, from lows to highs. Another way of saying this is that any music I played was reproduced with extremely high resolution. With “No Landing (Lucknow),” from Greg Keelor’s Gone, I was able to crank up the volume to lifelike levels and hear Greg Keelor’s voice before me in full glory, as detailed I’ve heard it, the air around him obvious to anyone who isn’t deaf. It was as transparent a view into this recording as I’ve heard. But I didn’t need high volume levels to hear that kind of transparency. Although the SP1s could play louder in my room than I needed them to, most of my listening to them was done at below normal listening levels, as I wrote this and other articles. Provided other sounds in the room didn’t swamp the sounds coming from the speakers, that ability to let me hear into recordings was just as extreme. In short, the SP1 punched high for its price of $14,700/pair. Still, in some areas the SP1 fell short of perfection. The highs, while extended, weren’t as airy as I’ve heard from some topflight metal-dome tweeters, which can add a bit more sparkle that, provided it doesn’t sound actually bright, can make music sound a little more lively. Of course, for those who don’t like all that sparkle up top, the SP1’s voicing may be a blessing. Although the SP1’s bass was tight, deep, and well controlled, its extension to 40Hz or a little below isn’t like having extension down to 20Hz -- a full octave lower. So compared to speakers such as Revel’s Ultima2 Salon2, which does go down to the bottom of the audioband, the SP1 had less bottom-end weight. My usual test for this is “Misguided Angel,” from the Cowboy Junkies’ The Trinity Session -- through full-range speakers, this track pressurizes my room to the point that it feels as if the walls are swelling. The SP1s reproduced this track with serious but not wall-flexing weight. Likewise, with “No Landing (Lucknow),” a very dynamic recording with so much bass energy that I can actually feel the room it was recorded in, the SP1s missed some of that low-end heft. That said, KEF’s Reference 3s went no lower than the SP1s in my room -- nor did Focal’s Sopra No2s ($13,999/pair) when I reviewed them. However, KEF’s Blade Twos did, with whomping bass that pressurized my room more fully than the Salon2s can -- but the Blade Two costs $25,000/pair. Not reproducing part of the bottom of the audioband is forgivable for the price -- for which, most will agree, the SP1 still punches high. Some reviewers talk about their “desert island” or “retirement” speakers -- speakers they could comfortably live with for the rest of their lives. But I think being an audiophile precludes that -- we’re always looking for something new, even if we think we’re satisfied with what we have. But I understand what they mean -- part of the satisfaction of a purchase is knowing you’ve bought something you’ll be satisfied with for a long time. The weird-looking and wonderful-sounding Muraudio SP1 is such a speaker for me -- not only for Doug the audiophile and music lover, but for Doug the reviewer. The outputs of its five drivers blend so well that they sound like a single driver of nearly full range. It sounds wickedly clean and natural regardless of the music played. It can play at volume levels from extremely low to well beyond loud enough equally well. Despite its sound not being the airiest or bassiest, it extends far enough into the frequency extremes, with such consistent quality, that it’s easy to forget and forgive the little it omits. I also liked the way a pair of SP1s painted vast soundstages with well-focused aural images in my room, without sounding exaggerated or artificial. And all of that, without being difficult to set up. That’s a long list of accomplishments for $14,700/pair. Muraudio’s latest isn’t just one of the best-sounding speakers at the price -- I’d wager it can knock the socks off many speakers costing considerably more. Price: $14,700-$15,350 USD per pair, depending on finish.